Complete the look of your next bathroom remodel with this sink by Wyndham Collection, the perfect combination of style and lasting durability. It is manufactured with ultra-durable marble, so you can enjoy its stylish appearance even after years of wear and tear. Perfect for all kinds of bathroom styles, this sink is fantastic choice for your next home improvement project. The Chloe and Corrina's crisp lines emphasize their semi recessed sleek low profile design. They are both modern and contemporary providing a clean look. These vitreous china sinks are ADA complaint, offering a single hole or 8 inch spread faucet deck. Avalon Vessel Vanity Bathroom Sink in White Carrara Marble Complete the look of your next bathroom remodel with this sink by Wyndham Collection, the perfect combination of style and lasting durability. It is manufactured with ultra-durable marble, so you can enjoy its stylish appearance even after years of wear and tear. Perfect for all kinds of bathroom styles, this sink is fantastic choice for your next home improvement project. 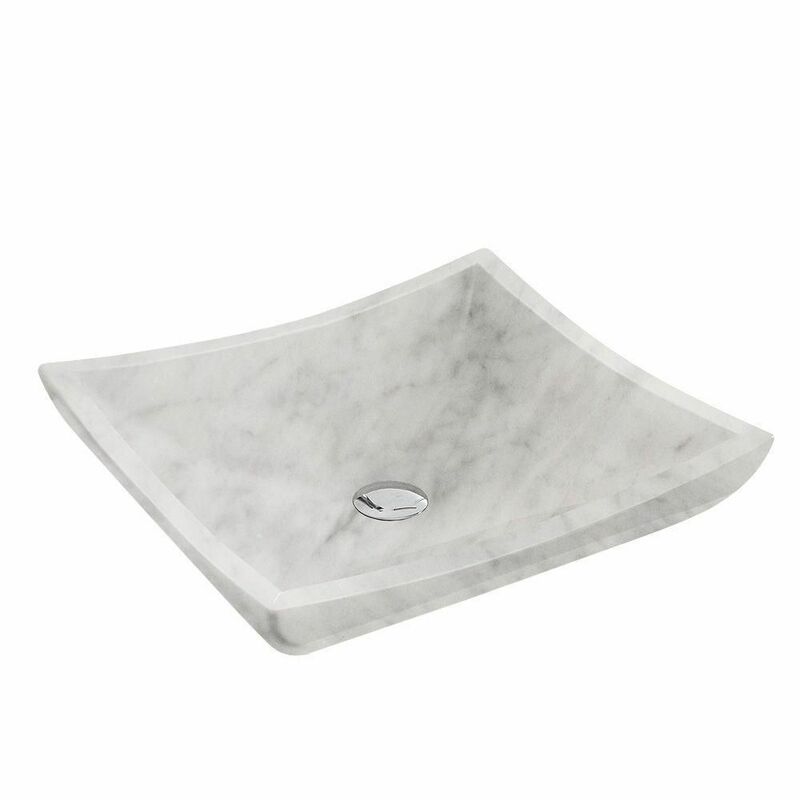 Avalon Vessel Vanity Bathroom Sink in White Carrara Marble is rated 5.0 out of 5 by 1.